TO SIGN UP FOR THE 2019 COMPETITION, READ THE FOLLOWING INFORMATION AS WELL AS THE RULES, THEN CLICK THE LINK BELOW ON THIS PAGE TO TAKE YOU TO THE APPLICATION. The application deadline is December 31, 2018. 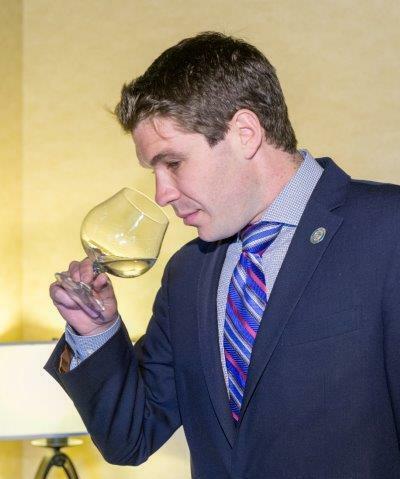 The Chaîne des Rôtisseurs, the world’s oldest and largest wine and food society, welcomes all sommeliers under the age of 31 to participate in our annual national sommelier competition, now entering its 18th year in the United States. There is no cost to compete. The process consists of an initial qualifying test administered entirely online on January 12, 2019, followed by in-person regional tests in nine Chaine regions across the country, and culminating in a national final to be held in Napa, California April 24-26, 2019. We pay travel expenses to the regionals and finals for those who qualify. All judging panels are led by Master Sommeliers and Masters of Wine. 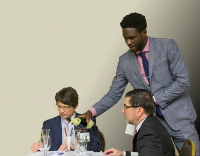 We encourage all eligible sommeliers to participate! Our goal is to enhance your wine skills and knowledge, in a challenging but fun environment.